Home » Technology » How To Modify Your Voice? Use Voice Changer Tool! Would you like to play a prank on your friends by amazing them with a manipulated voice? Would you like to have some fun? If yes, you should bother to try out a voice changer for PC. What does a voice changer do? Why should I give a damn about it? There’s nothing to explain in the definition. A voice changer changes voice; it’s that simple. Be it a voice changer online or a voice changing software for your PC, the basic way of functioning is the same. The online one might be a simple voice changer and the voice changer for PC might be a heavy software with tons of features. However, all of them change your voice remains constant. For an average user, there’s nothing productive in changing your voice. It can be an effective way to play some pranks and have fun. There are tons of creative ideas you can implement with the best voice changer software. I guess I don’t need to talk about those dirty pranks. In case you have a slow or humiliating voice, you can use a voice changing the software to your advantage. Many voice changers for PC integrate with various IM apps such as Skype, Hangouts, and MSN. Thus, you can change your voice to something bolder while conversing through these media to lay an impact. There are some voice changing software built especially for these apps as well. As expected, you might not find these features in a voice changer online. Talking about voice manipulation in phone calls – I haven’t found any voice changing app that works for that yet. You will require a hardware for such things, which is attached to your phone’s microphone. The tool does the job of manipulating your voice. The vast majority of “voice changers” shift the pitch-sensitive fundamental waves of the users voice (via microprocessor) and offer various pitch shift options. In other words, a voice changer online or voice changer for PC plays with your pitch and changes it one or two octaves further or back. This shift in octaves results in a voice change. Sounds simple, isn’t it? Well, it isn’t simple. Changing octaves isn’t as good as it looks. A drastic change might result in the output being robot-like or dull, and changing a few octaves might not get the result you need. That’s where low-quality voice changers are defeated. Cheap and low-quality voice changing software doesn’t have any other functionality. Their scope is limited to changing pitch only. On the other hand, some high-quality, best voice changer applications have effects to help you out. These effects complement the changed voice to give a better, more natural output. So if your purpose is something serious, consider getting a professional voice changer for PC. You should remember that the voice changer online won’t have such features. Voice changing tools – the hardware ones work on the same principle. Moreover, they have high-end chipsets to buffer the unnatural and unrealistic sound. Many high-end voice changers are used while scamming people through phone where it protects the real voice of the scammer. We do not promote the illegal use of voice changer through this article. We advise you to stay away from such things. Use the voice modifier for fun, or for some good purpose if needed be. I repeat that the voice changing software must not be used for illegal purposes. As you might have guessed – there are two types of voice modifiers, online voice changer and voice changing software. Both of them have their own set of advantages and disadvantages. Online is quick and portable, but it lacks features. On the other hand, professional voice changing tools have a bunch of features like music morphing, saving the voice in MP3 & other audio formats and so on. These qualities come handy for regular use, but most of the voice changer download are paid, and the free ones you see might not be trustworthy. Thus, it is up to you which side you want to go for. Let me help you a bit with it! The only voice changer online I recommend is the Online Tone Generator. It is nothing but a basic pitch shifter. Upload your desired audio file, play a bit with the tool and do some testing to get the output you want. There are limitations over what you can do, but the online voice changer tool works like a charm. Dedicated Voice changer for PC has a lot of features that can be helpful for regular use. You may try AVSoft Voice Changer, Free Voice Changer and Fake Voice Changer. Each of them has its own set of functions. You may need the best voice changer software for voice mails, presentations, podcasts or changing your voice in chatting or calling. You can also prank your family & friends with a simple voice changer. Even kids may need this fascinating tool to have fun by modifying their voice. 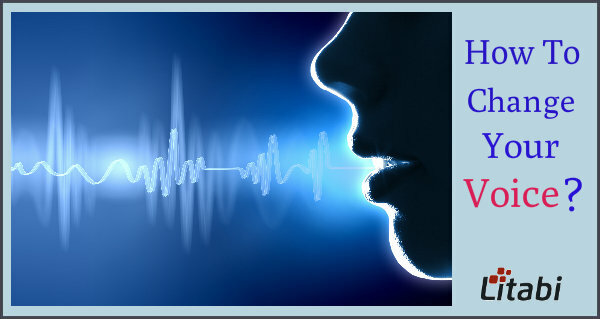 Some dedicated voice modifying software have inbuilt voice effect with which you could create your custom voice. Few other tools may have the option to set programmable voice for multiple requirements. Whatever it may be, I would suggest you not to use this amazing software for unlawful reasons. You may use it for your voice tone improvement or as a tool for entrainment. I hope that you are getting my point on voice changer for PC usage. What is your opinion about the Voice changing software? Do you use any voice changer for PC? Have you ever tried live voice changer? Would you like to go with voice changer free download? Share your viewpoints and experience in the comment section. You always come with something different and this again. Learned something new.